You might more accurately call it the home of the elite, and that is not limited to folks of the Caucasian persuasion – both Kauikeaouli and Emma had summer residences here and included in the list of successful business people who called it home were the Afongs and others. Today, the descriptors of the past hold true – and the place is high in the demand (and price,) just as it was nearly two centuries ago. So, who were some of the people who called this place home? As noted, an early resident of Nuʻuanu was Kauikeaouli, Kamehameha III. Consistent with tradition, his home had a name, Kaniakapūpū (sound or song of the land snail;) it was located back up into the valley at Luakaha. Ruins today, the structure, modeled on an Irish stone cottage, was completed in 1845 and is reportedly built on top or in the vicinity of an ancient heiau. It was a simple cottage, a square with four straight walls. Another royal, Queen Emma, had a “mountain” home, Hānaiakamālama (Lit., the foster child of the light (or moon,)) now known as the Queen Emma Summer Palace. In 1857, she inherited it from her uncle, John Young II, son of the famous advisor to Kamehameha I, John Young I. On the private side, the following are only a few of the several notable residences (existing, or long gone,) in Nuʻuanu Valley. The entire building is built of shaped bluestone set in concrete and steel reinforced cement, and all the perimeter walls are 2 – 3-feet thick with the exception of the end walls, which are 6-feet thick. It is constructed entirely of bluestone, concrete, steel, copper, bronze and teak. Just mauka of Buena Vista (now also part of the Wyllie-Nuʻuanu interchange) was Robert Crichton Wyllie’ “Rosebank.” Wyllie first worked as acting British Consul. Attracted by Wyllie’s devotion to the affairs of Hawaiʻi, in 1845, King Kamehameha III appointed him the Minister of Foreign Affairs. Kamehameha IV reappointed all the ministers who were in office when Kamehameha III died, including Robert C Wyllie as Minister of Foreign Relations (he was in Hawaiʻi from 1844 until his death in 1865.) Wyllie served as Minister of Foreign Relations from 1845 until his death in 1865, serving under Kamehameha III, Kamehameha IV and Kamehameha V.
Finally, a home of a missionary, Dr. Gerrit Parmele Judd, “Sweet Home” was located at the intersection of Nuʻuanu and Judd. Judd was in the 3rd company of missionaries from the American Board of Commissioners for Foreign Missions (he was in Hawaiʻi from 1828 until his death in 1873.) 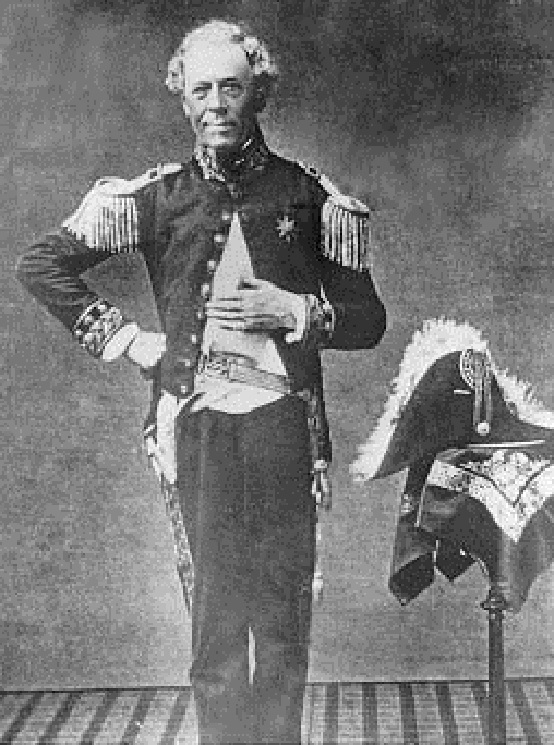 After serving the mission for 15-years, Judd was translator and later Minister of Foreign Affairs, member of the House of Nobles and Privy Council, and Minister of Finance under Kamehameha III. Wife Laura Judd once noted, “we were supposed to be rich,” but insisted they had never been so poor, being obliged to borrow money to pay for carpenters and masons. (Scott, Saga) The house was torn down in 1911 and the property became part of what is now Oʻahu Cemetery. 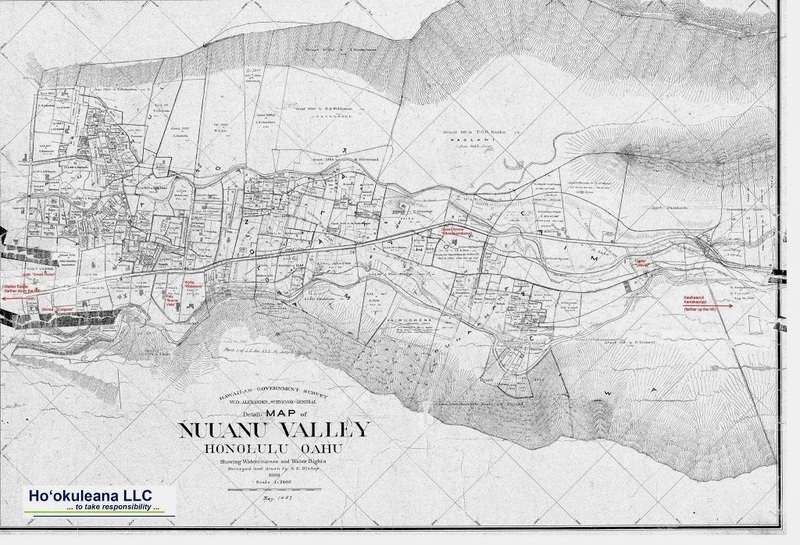 The image in an 1888 map of Nuʻuanu Valley indicating the location of the homes discussed here. In addition, I have included other images in a folder of like name in the Photos section on my Facebook and Google+ pages.